Dr. James Chimenti has extensive experience in minimally invasive neurosurgery and has special interest in both complex and minimally invasive procedures, as well as brain tumor treatment, stereotactic radiosurgery and the surgical management of pain. He has been named among America’s Top Surgeons by the Consumer Research Council for five consecutive years, one of New Jersey’s Most Recommended Physicians by the National Consumer Survey, and a New Jersey Top Doc by New Jersey Monthly. Dr. Chimenti has presented at stroke conferences and medical meetings across the country, and speaks to community groups about neurological health. 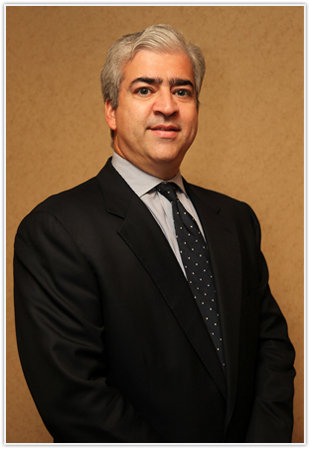 Dr. Chimenti is a Diplomate of the American Board of Neurological Surgery. He presently serves as Chief of the Division of Neurosurgery at Somerset Medical Center. He received his undergraduate degree from Lehigh University and his medical degree from the Medical College of Pennsylvania in Philadelphia. His postgraduate training includes an internship in general surgery at New York University Medical Center in Manhattan and a residency in neurological surgery at Hahnemann University Medical Center in Philadelphia.